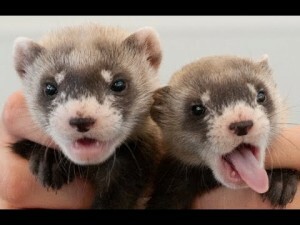 Would you like to name one of our young ferrets and win a year long sponsorship of that ferret? This year our ferrets had a number of babies. We have 1 male and 3 female ferrets. We would be delighted if you would help us choose their names. They are all lively and inquisitive little animals and all polecat coloured. If you would like to make a suggestion of a name please use the Contact Us page on our website or leave a comment on Facebook. If your suggestion of a name is selected you will win your named ferret’s sponsorship for the year. Winners will be selected on Friday 25th September. We look forward to hearing from you! Our ferrets have now been named. We are happy to introduce Pumba, Eenie, Aurora and Squeak. Thank you for all your interest! Guinea Fowl are native to Africa, but the helmeted Guinea fowl has been domesticated and introduced across the world. They like to eat insects and seeds and are ground nesting. 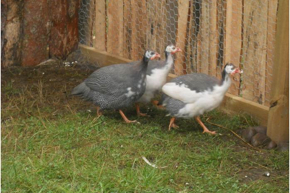 Most species of Guinea fowl have a dark grey or blackish plumage with dense white spots. Guinea fowl mate for life, all guinea fowl are social, and typically occur in small groups. They are large birds which measure from 40-71cm in length, and weigh 700-1600g. In the wild they live in deserts or forests. They are seasonal layers. In the days before intensive agriculture, many of our field and land boundaries were bordered with hedgerows rich in flowers, thorns and berries which provided food, cover and nesting sites for a wide variety of birds. Now, however, modern farming practices and a scarcity of suitable nesting sites means that we rarely, if ever, see this bird which was once a common sight on farm land and open grassland. The Grey Partridge is now a Priority species that needs protection. 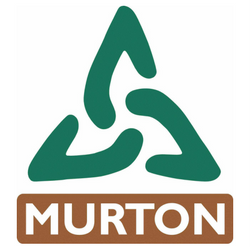 Here at Murton we breed and release them into the surrounding area. This is part of a grant scheme to increase numbers of protected species. 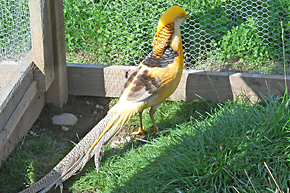 We have both Red and Yellow Golden Pheasants at Murton. Golden Pheasants are characterised by their strong differences between the sexes. The males are highly ornate with bright colours and adornments such as wattles and long tails. Look out for their deep orange ‘capes’ which they spread in display. These give the appearance of an alternating black and orange fan that covers all of the bird’s face except for its bright yellow eye with black pin-point pupil. 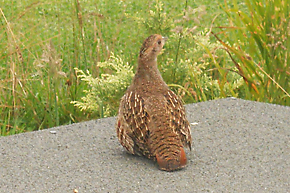 The females are much less showy and not dissimilar to the common pheasant hen. 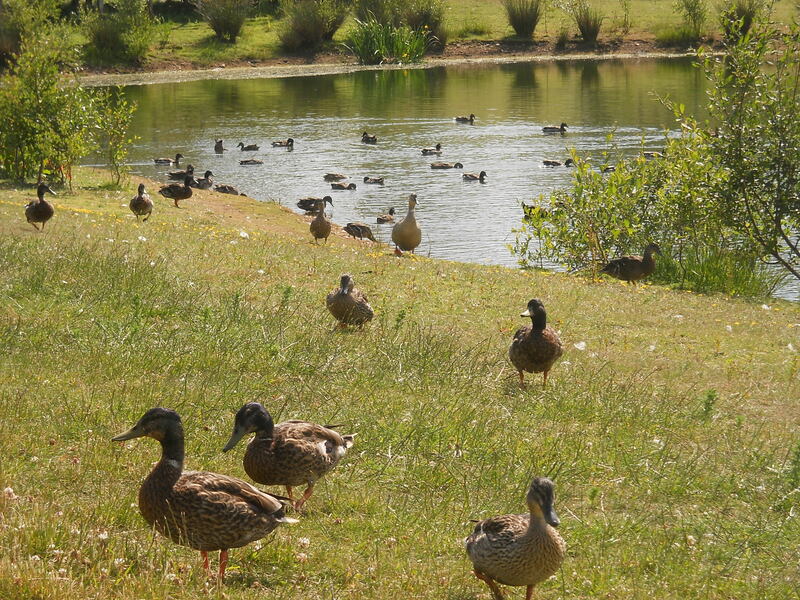 On the farm’s pond, you’ll see a range of handsome Ducks. 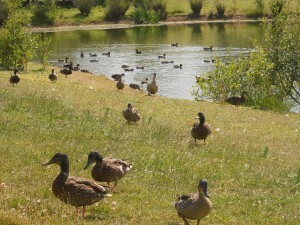 They are Cayuga Ducks an American breed of duck and take their name from Lake Cayuga in the state of New York. Indian Runner Ducks described as the most peculiar duck with a thin neck and long body. In the 1830’s it was commonly called the Penguin Duck. Muscovy Ducks a native to South America and Mexico in particular, Muscovy Ducks have long claws on their feet and a wide flat tail. We also have Swedish Blues and White Pekins. 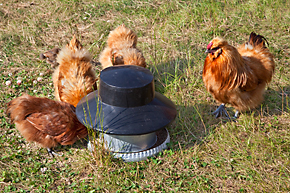 We have a wide variety of chickens who live in pens around the farm. Here you’ll see many exotic breeds such as the White Cochin with their feathery feet and the graceful Red-Saddled Yokohama. Look out also for the Red Silkies – they’ve been a popular breed since the 13th century and they have five toes on each foot. And, if you spot what looks like a ball of fluff on legs, you’ll have found our Golden Partridge Pekins. They have really cheeky characters and the antics of the younger ones should provide you with much amusement. 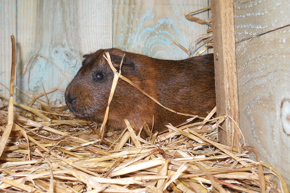 Guinea pigs originated in the Andes – they do not come from Guinea and they are not pigs! They were introduced into Europe by traders in the 16th century and have become very popular as household pets. There are three major varieties of guinea pig – the short smooth-coated English American or Bolivian, the harsh-coated rosetted Abyssinian and the long-haired, silky Peruvian. Some live in the wild in South America and are very social animals who live in large groups in grassy areas. They like to hide in rocks and burrows as they are often prey for larger meat-eating enemies. They weigh, on average, 1 kilogram and have a life span of 4 to 7 years. 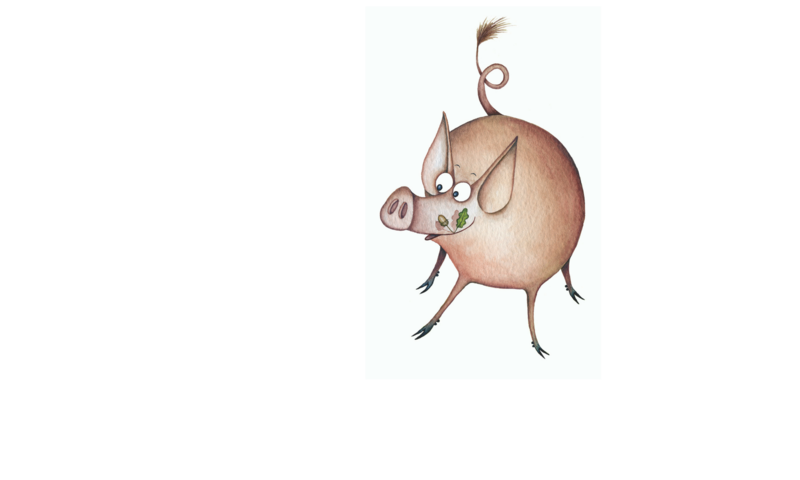 They have a whole range of high-pitched squeaks, chatterings, chirrups and grunts and are sure to raise many a smile when they take up residence in the petting area of the farm. 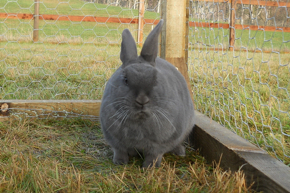 Rabbits are not native to Britain but were brought over by the Romans as a source of food and fur. They have two sets of incisor teeth, which distinguishes them from rodents. Their breeding season lasts 9 months from February to October and the normal gestation period is 30 days. Saanen Goats are a white or cream-colored breed of goat named for the Saanen valley in Switzerland. 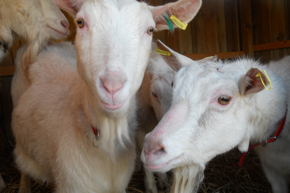 They are the largest of the goat dairy breeds. The Saanen also produces the most milk on average, and tends to have a lower butterfat content, about 2.5%-3.0%. A Saanen nanny produces around an average of 1 gallon a day. Just as Alpines, they are commonly used for commercial milking. The Saanen temperament is, as a rule, calm and mild mannered. Saanen goats are easier for children to handle, and are popular in the showmanship classes due to their calm nature. They typically breed every year, producing one or two kids.